Race Against Time - Exclusive interview with Felipe Massa and Romain Grosjean | The Gentleman's Journal | The latest in style and grooming, food and drink, business, lifestyle, culture, sports, restaurants, nightlife, travel and power. Are there many combinations as gentlemanly and prestigious as motoring and watches? I think not. And what could be more formidable than the pinnacle of motoring – Formula 1 – and the most technologically advanced watches – Richard Mille? Very little indeed. In the high performance world upon which we live, the true purveyors of gentlemanly exploits swarm around the greatest innovations, like bees to honey. And so we find ourselves at the walls of the exclusive, outside Richard Mille’s Mount Street store, pining to meet the heroes within. We’re here for an exclusive interview with Formula 1 racers Felipe Massa and Romain Grosjean to delve into their utterly opulent world to discover more. 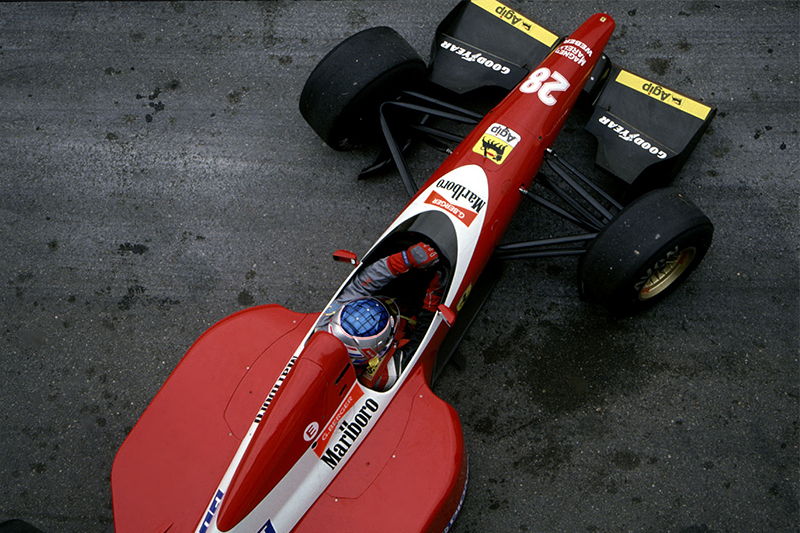 How did you first get involved with the world of motorsports? Massa: I was always in love with speed. When I was 6 years old my father gave me a 50cc motocross bike and as soon as I started I was in love. I wanted to be a motocross racer, but then I started to become a little bit crazy with jumps and I had a few crashes so my father said: ‘Maybe it’s better to be on 4 wheels instead of 2.’ He brought me to the go-carts, and I knew this is what I wanted – I was 8 years old. I wanted to be a driver, and Formula 1 was the dream. I never thought I’d get close. But step-by-step things became more concrete and I made it there. Being Brazilian, Ayrton Senna must have been a huge inspiration to you? I think Senna was a big inspiration for everybody that wanted to be a driver. It was amazing to follow him and see what he was doing. He was a big example and inspiration to all the drivers, but especially me being Brazilian. Of your 11 wins, which is the most memorable and why? The most memorable, which was like a dream, was to win in Brazil. To win where you started and where you grew, to see the people in the stands supporting you every time you pass. To win in Brazil is the most incredible memory I have. Grosjean: I used to ski initially, and then my dad brought me to a race one day when I was 8 at Dijon-Prenois and I saw the cars and thought: ‘This could be good’. So I started go-carting just for fun for a long time and then started racing and moving on. 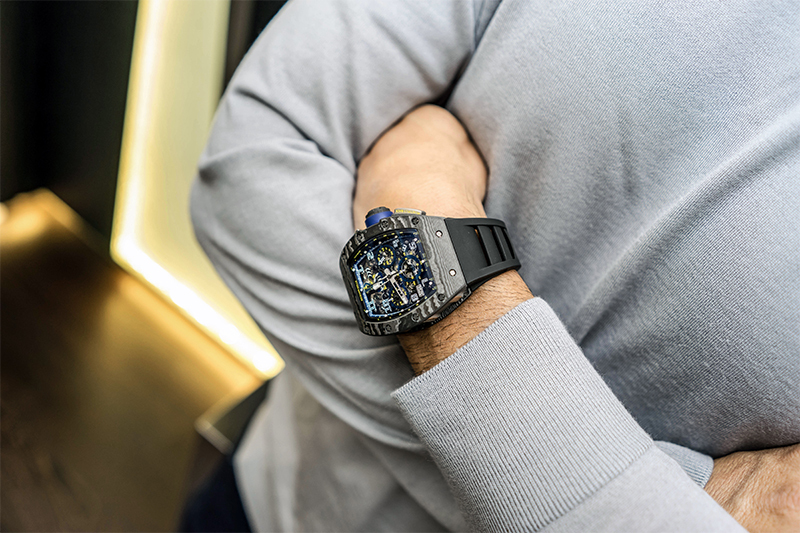 How did you first become involved with Richard Mille? Massa: My manager is French and we’ve always enjoyed watches. He was trying to find a brand to link with. We saw Richard Mille in a magazine and found the number and called. Richard was in the store and answered and said: ‘Look, I’m very interested but I’m just starting my brand’ – it was only his first year – ‘I really like you Felipe but I can’t right now, it’s too early for me. Let’s discuss later.’ A few months later he calls back and says, ‘I would like to do something, maybe we can start by you wearing a watch.’ So we started like that and now we’ve been together for 10 years. Grosjean: In 2013 I met Richard Mille and after 10 minutes everything was done. He said: ‘Yeah, let’s do it, we’ve got this project with Lotus using the colour of the car, would you like to put your name on the watch? It would be an honour.’ And I love watches – I mean, I am Swiss, so it means a lot to me. I’ve always been a huge fan of watches and, of course, Richard’s work is unbelievable, the range of products from very light and strong to very complicated mean there are no limits. I like the saying ‘The only limit is your imagination,’ and that is something Richard is pushing. It is a brand I’m most proud of. 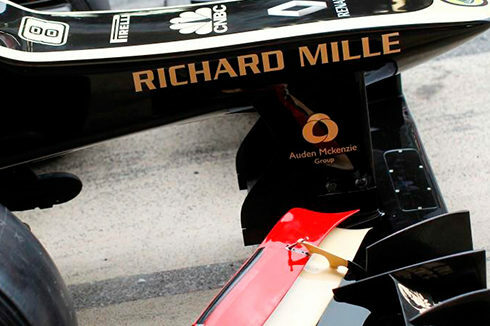 What do you think are the similarities between Richard Mille timepieces and Formula 1? 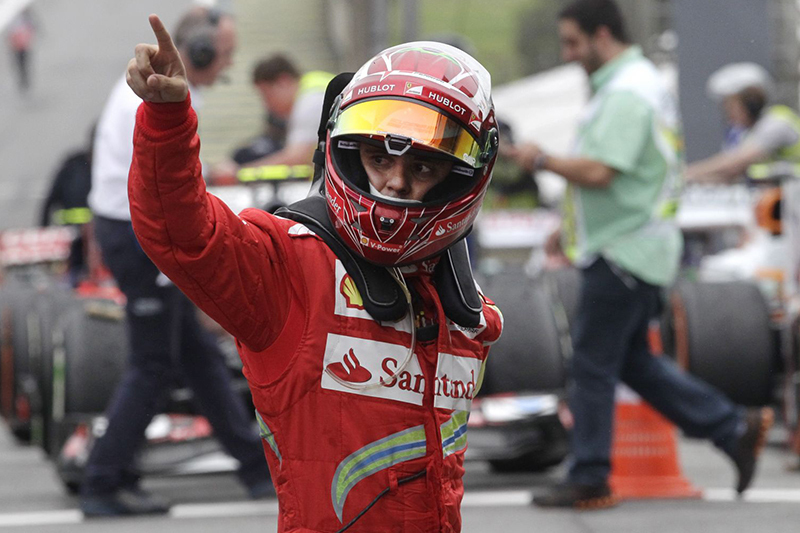 Massa: I think there are many similarities – the materials, the weight, how technological it is, how beautiful it is. When you combine these you get something very similar. 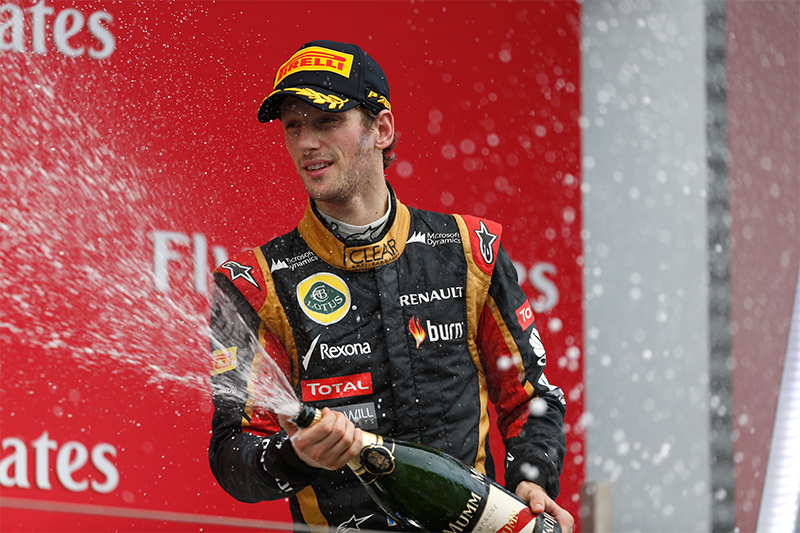 Grosjean: There is no limit. It’s about imagination. You’ve got the rules, just like a watch has to tell the time, but then it’s all the technology and ideas behind it. It’s all the materials used – carbon – it’s very very similar, it’s the g-sensor in this one. 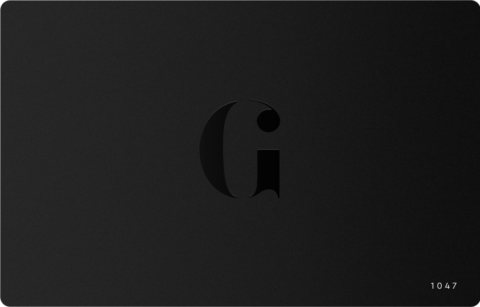 The g-sensor is something we work with everyday and also the precision behind it. The teams making the car and the watch are both highly technological and unbelievably precise. What’s it like wearing Richard Mille when you’re racing? 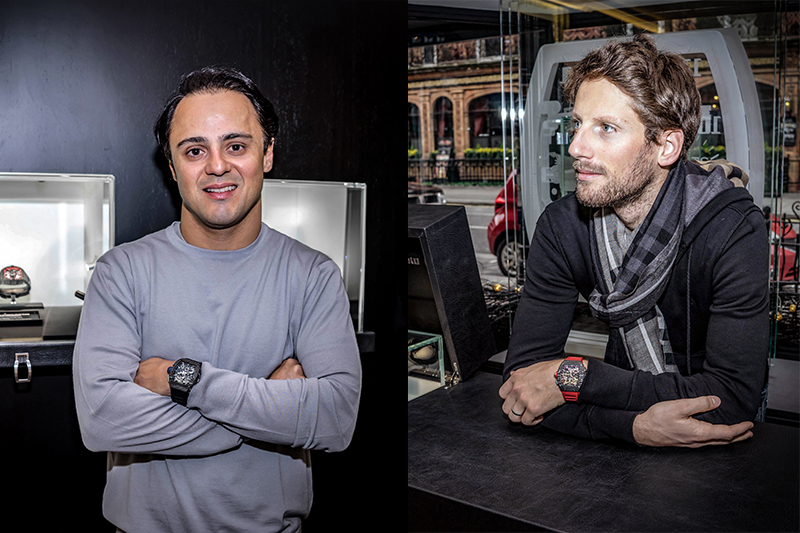 Massa: I’ve worn it since the first race, it was never a problem for me to race with the watch – it’s comfortable and light. Grosjean: It’s strong. It’s very strong. When I crashed in Russia at 40 Gs the watch didn’t move. Richard sent me a text saying: ‘Wow, those new Formula 1 cars are strong’; and I said: ‘Yeah, the Swiss guy inside is too – and the watch.’ I wear it on top of my overalls with a special strap, so whenever it’s raining or humid, the watch goes through it all, at every single race, and it’s never moved. So it’s very good quality – this is going to have 40 grand prix races soon. What are you working on for next season? Massa: The most important thing is to have a great car, to improve the car and make it more competitive. If you have a great car you have more of a chance to win. It’s not going to be easy. We need to do a triple improvement to be able to fight with Mercedes and Ferrari. Next year will be very similar to this year. 2017 is the year the car will be improved a lot. So maybe the car can be 5 seconds quicker – well that’s what they say anyway. With older styling, big wings and more aerodynamic. That’s what they’re thinking for 2017, but we will have to wait and see. Whatever changes are made, it’s gotta be good for the sport, this is what we want. And you’re happy at Williams? Yes. I mean, you’re always happiest when you win races but we’re doing a lot. We finished 3rd in the championship both this year and last year, compared to third last the year before. Williams is great, I love the team and I hope we do better next year. Grosjean: I think the first thing is to build the team of people. That’s what they’re doing right now by trying to get experienced engineers and mechanics to run the car. In the background there is a lot of work going on with Ferrari and we need to get ready for the first testing on February 22. It’s coming very quickly. In January we will have simulator work and talks with the engineers for testing. But right now it’s about getting the right people in the right place. What sparked the move from Lotus to Haas? When I started speaking with Günther Steiner and Gene Haas it was during the Italian Grand Prix and they explained to me what the plan for next year was, and very quickly we shook hands and made the deal. In less than 2 weeks everything was done. The approach and time they’ve taken towards Formula 1, they wanted experienced drivers, they wanted to get the best they could get by creating a very strong partnership with Ferrari – having the technical support in the wind tunnel and simulators and the help with creating the chassis – all made it very appealing. It’s a nice challenge, especially with it being an American team coming to Formula 1. If we can get the support from American fans, it will be huge. All of that together makes this the right choice for my career. It will be a lot of work, and even though everything should be up and running, it is still a new team. Behind the scenes, Gene has been successful with his business in NASCAR so they know how to do it and I like that. Has F1 lost its sting? Massa: Yes, a little bit. I think when you see one team winning all the time it get’s a little bit boring. Another problem for me is that everything is based on the computer nowadays. Grosjean: I think the communication hasn’t been great, but the races are actually some of the best we’ve ever seen. If you look back to the 90s, there was one overtake in a race, maybe two, and right now there are lots of overtaking manoeuvres. Ok, we know who is going to win, but this has always been the case. From 2010 to 2014 is was Red Bull, before that Ferrari, before than Renault, before that Maclaren – it’s always been a cycle. Hopefully the next one will be Ferrari, which everyone will be happy with. And just behind Haas. I think the races are fun. There are things we can do better, and to make it more attractive for the fans. But we need more communication, take some inspiration from NASCAR and Moto GP, and get the best combination. Outside of racing, what are your other passions? Massa: I love football, I try to follow the championships. I love downtime to go to visit places, holidays – Brazil, Miami, good restaurants, and generally enjoying my life. But I really love football and follow it all the time. Grosjean: Cooking, I love cooking. I like skiing but haven’t for the past 4 years. I mean, I grew up on skis, my grandfather was twice world champion during the 1950s and I grew up in Switzerland. But I’ve stopped because I don’t want to hurt myself before the season starts. So, cooking is my main passion. I’m friends with lots of chefs in England like Raymond Blanc, I’m even thinking of opening my own restaurant with a friend so yes, definitely cooking. When in London, where do you eat? Massa: I find London a lovely place to be, I aways enjoy it here – apart from the weather. I have many favourites. I like many different restaurants, especially Zuma and Hakkasan. We try to change all the time, there are so many places to go. Grosjean: Well I love Raymond Blanc but that’s in Oxford. I love Gordon Ramsey and I have to go to the Le Gavroche, that is the next one to visit.